Our luxury dark roast espresso cream flavoured e liquid is perfectly blend to create a rich coffee cream flavour that will astound you with every vape. Fresh, creamy and rich coffee flavour will tantalise your taste buds every time you vape creating a perfect coffee break sensation. Espresso Cream eliquid is made in UK by The Vape Shop using USP pharmaceutical and natural ingredients. What Is Espresso Cream E Juice Like To Vape? For all coffee loving vapers out there our espresso cream ejuice is outstandingly realistic. The taste that fills up your mouth on inhale if a rich decadent italian style espresso with cream. The coffee is rich and deep in taste with a slight bitter taste that becomes rounded off with the taste of the sweet cream. It's a strong flavour that wakes you up as the mind thinks it's had the real thing. On exhale you can taste the strong coffee as the smooth and creamy vapour is exhaled leaving a pleasant coffee aroma in the air. Is Vaping Espresso Creme eJuice Vegan & Vegetarian Safe? 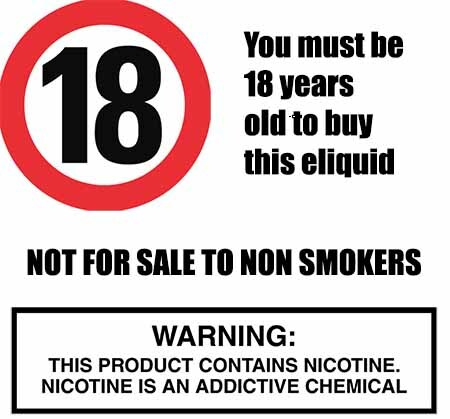 We make sure that all our drink flavoured e liquids are gluten free and suitable for vegetarians, and vegans. You can rest assured when purchasing this e liquid flavor that it contains only the purest ingredients.